A rock band formed in 1999. In 2002, Gained national recognition when the female vocalist hitomi covered their song “SAMURAI DRIVE”. In May that year, made their major label debut with “Refrain”. The single was released simultaneously in Taiwan, Hong Kong, and Singapore. 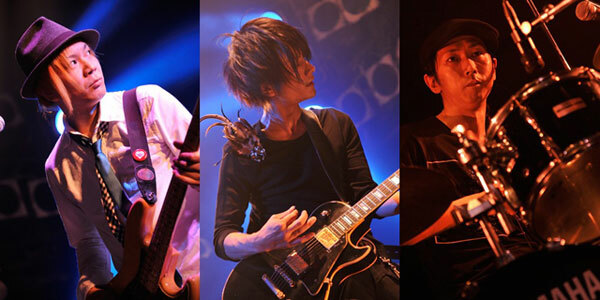 In 2012, the vocalist left the band, which led the band to take a break from live activities, but have since then picked things back up by featuring guest vocalists in addition to the trio lineup of Kouji Ikuma (G), Taizou Nakamura (B), and Kimito Ohkita.